It’s June already; where does the time go? May was mostly recovery for me, so I didn’t make much progress on the list, but I’m still going to check-in on my resolutions (detailed list here). At the very least, it’s a refresher on what I should be working on. 2. 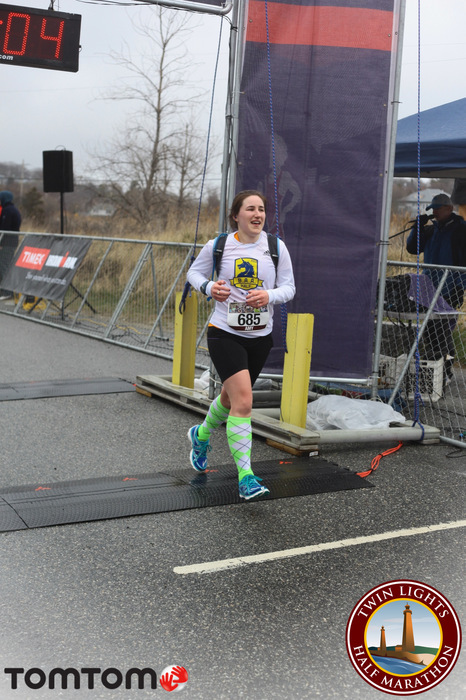 Keep up with my Running Blog – SUCCESS! – as long as I don’t blow it later in the year. 3. Run a Marathon – Undecided. 4. Keep a Running Journal – Success, but I hated it. I might try again. We’ll see. 5. Join a Running Club – I haven’t done this yet. I really should get on this one. 6. Volunteer – Haven’t done this yet. I’ll shoot for finding a local race to help out at over the summer. 7. Run 1000 miles – I’m at about 385 for the year so far. It’s a little shy of where I should be, but not insurmountable. 8. Beat Jeff’s 5k PR – Planning to attempt this sometime in the fall. I don’t really have a plan for any target workouts, I’m just hoping that running long will make me fast like last fall/winter. 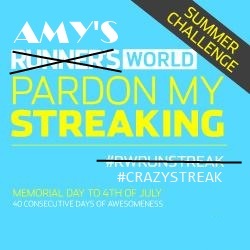 In other news, I’ve been doing a Summer Stretching Streak in place of the Summer Running streak. I am a notoriously bad stretcher, but have had some issues with tight hamstrings and calf muscles. I know it would be good for me, but I just can’t ever seem to keep it up. Just like the run streak, I started on Memorial Day, and so far so good! I’ve now stretched for 7 consecutive days. This is some kind of crazy record! I deserve ice-cream or something! I did a quick 25 min easy run yesterday. I went out at 9:30 AM and it was HOT! I can’t believe last week it was in the 40s and now we’re up to the 70s! Yes, I know that it’s not that hot, but it really feels like it because of the drastic jump. I better start getting myself ready for running in the heat. Whatever that means! How are your resolutions going? Are you doing a streak? Is it getting hot where you are? Sounds like you’re well on your way to getting your goals done! I’ve heard nothing but good things about running clubs, I just haven’t been able to motivate myself to get to one. Hopefully I can cross that off the list this summer. I totally blew it on my streak. I have missed 2 days since I’ve been on vacation. I’ve decided to just try again once I’m back, because it isn’t worth the stress I am feeling for failing at doing it here. You’re on vacation, it doesn’t count! Resolutions? !…Oh yeah, I think I made some resolutions, too. I’ll have to get back to you on how they’re going (after I figure out what they were). It’s hot here and I can’t believe it is July! I made so many resolutions; it’s crazy. I’m not really working on all of them though…I’m down to half or less that I actually care about. haha.